What are some of the taxes a small business S corp needs to pay? When you start an S corp as a small business, you’ll find there are many taxes you need to pay. You might be used to a simple schedule C as a sole proprietor, but the S corp brings the bigger game. We’re going to review three taxes that you might not be familiar with. It’s a shame that alot of S Corp owners run into issues because no one explains to them about the taxes they don’t know about. 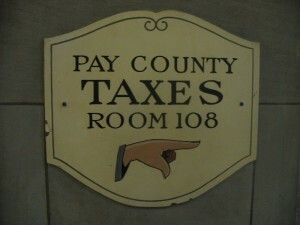 Unemployment taxes: You might be your only employee, but the state expects you to pay this tax. You cannot draw against it if you lay yourself off, nor can you opt out of this. While it makes sense to pay this tax is you have employees that aren’t your family, it makes no sense if you’re the only employee. City taxes: Some cities tax payroll as well as sales. This is an important consideration since cities typically don’t tell you about these taxes. Even if you take out a business license, most cities won’t mention their payroll tax. Special sales taxes: These are really hard to find out about until it’s too late. If you sell specialized equipment or services you need to check with your state to see if any special sales tax applies to your product or service. Knowing about these taxes can prevent you from running into any issues.